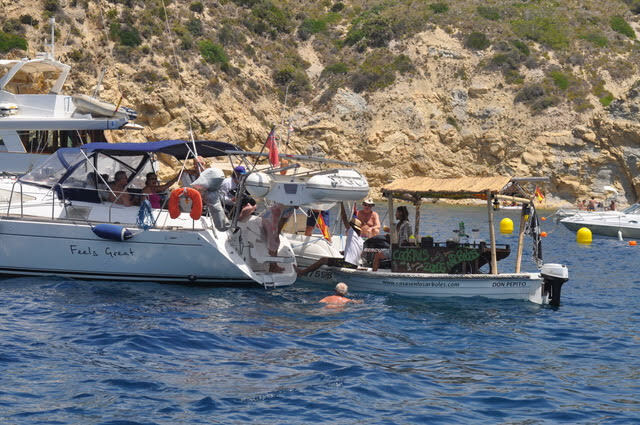 Each raft-up will meet at Cala Sardinera at 1200 hours. 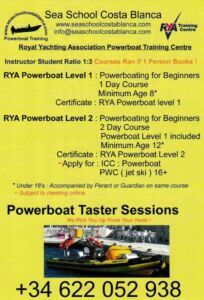 The make and size of the Powerboat/Jet-ski? 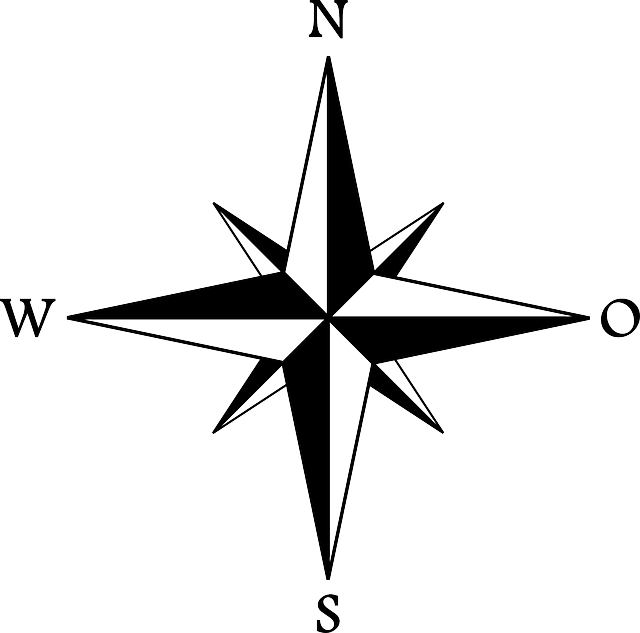 Where it is usually moored? How many times per year that you use it? In which months that you mostly use it? 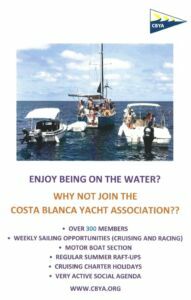 if you want to join social/recreational power boating activities with the CBYA? If you answered NO to the question above, are you interested in participating in social/recreational Powerboat activities with the CBYA? WANTED: More CBYA Raft-up Attendance! 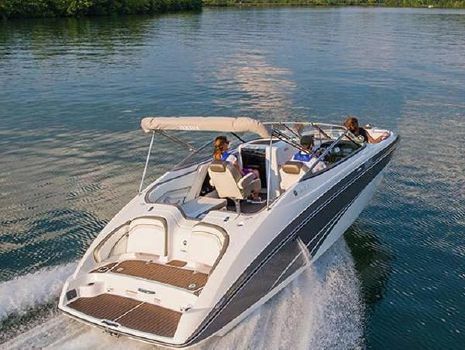 Please pass this message to your boat-owning friends and contacts! 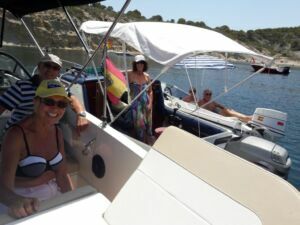 Join us on our fun raft-ups in Cala Sardinera and Portichol. Great CBYA RAFT UP on June 26th! 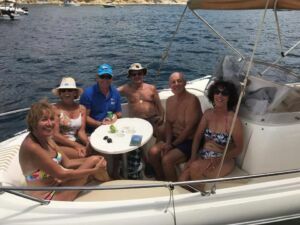 With clear skies and calm seas, the CBYA started our first raft-up of the summer at Cala Sardinera, which attracted 5 boats, including sailing yacht Feels Great, with Ron Shanson and his crew. A Big Set Back for the CBYA Dinghies!! 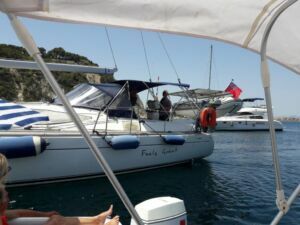 We are very sad to report that we have been ‘broken into’ at El Portet, and our outboard motor has been stolen. 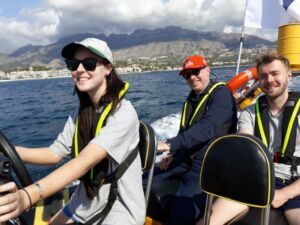 In addition the aft locker on the new “Flying Fish” dinghy has had its lid torn off, and our life jackets which were stowed in there have also been taken! 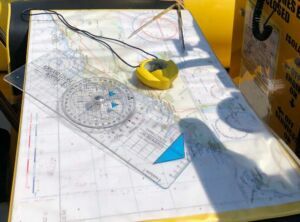 They also stole the Flying Fish trailer wheels, and its mainsheet. We are obviously being targeted because they have now also stolen our old rubber dinghy safety boat, as well as the rubber dinghy and cover which was chained up close to our storage box! 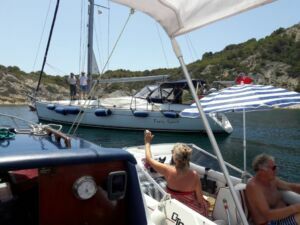 A Fun TOMs Cruise & Raft-up! When I agreed to go sailing a couple of months ago, I obviously was not thinking straight. I’m not a good swimmer, I hate deep water and I get seasick! The closer the day got, the more apprehensive I became.